Another brilliant addition to the Mark Todd Collection is the Adjustable Short Work Boot. The boot is suitable for most daily activities and is adjustable to ensure a comfortable and easy fit, as well as being stylish and fashionable. 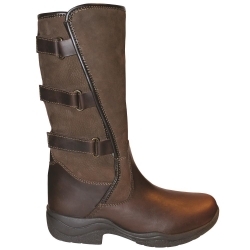 Comes in brown and is available in sizes EU37-42 and has three adjustable side straps to accommodate most calf sizes.